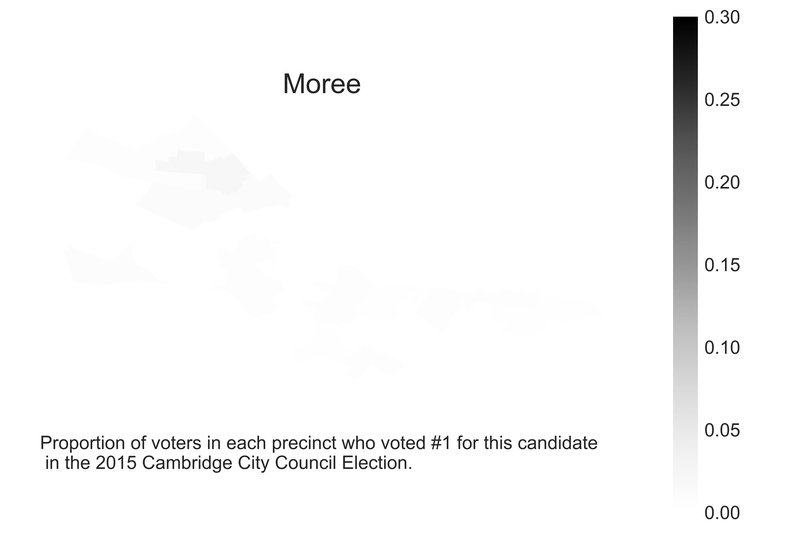 A lifelong Cambridge resident and a graduate of CRLS, Gregg Moree is a perennial candidate, having run every election since 2007. In 2015, he received 75 #1 votes, and was defeated in the 5th round of counting with 80 votes total. Gregg Moree is a strong believer in a Second Bill of Rights, including the rights to medical care and employment. When they think about my platform, they can think about the second bill of rights. CCTV. Gregg Moree, Candidate for City Council. Cecila D'Arms. Gregg Moree (Profile).